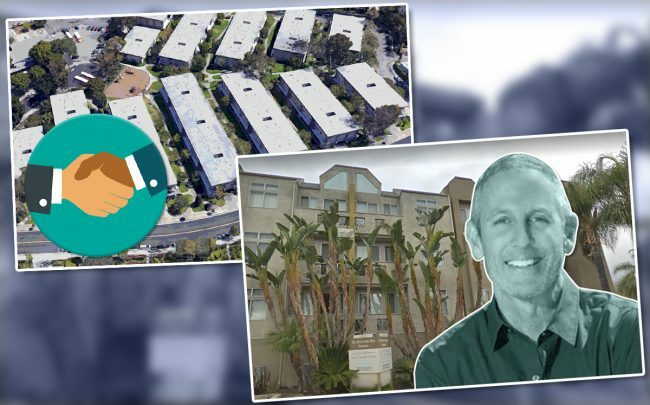 UPDATED, April 17, 9:10 a.m.: Multifamily developers spent a combined $114.3 million on the five biggest deals in Los Angeles County in March, reflecting a minor drop from the $121 million total in February. The lion’s share of deals were based in the City of Los Angeles, while the fifth most-expensive took place in El Monte. A joint venture of affordable housing developers claimed the largest deal by far. The Real Deal compiled the list based off deed records from Property Shark. SDG Housing Partners and Affordable Housing Access, two affordable housing developers, teamed up to buy a 213-unit multifamily complex in San Pedro for nearly $63 million. The seller was a trustee of William Pavone, a Newport Beach resident, according to the deed. Located at 1301 West Park Western Drive, the South Bay property spans seven acres. An affiliate of Colorado-based Bear Creek Securities, acting behind an LLC, provided a $53 million acquisition loan. Ridan, a real estate investment firm based in Westlake Village, paid $15.3 million to acquire the Riverside Arts complex in North Hollywood. Heico, a parent holding company for a variety of industries, sold the property through an LLC named Heico Riverside Arts Apartments. Located at 11473 Riverside Drive, the four-story complex includes 51 units. A Hollywood apartment complex traded for $13 million last month. The buyer was Dromy International Investment Corp., a multifamily investment firm based in Beverly Hills. An LLC tied to Maher Azer sold the property, located at 1324 North Poinsettia Place. Dubbed the Hollywood Apartments, the complex includes 51 apartments spread across three stories. Afton Properties, a real estate investment and management firm, paid $11.75 million to buy two apartment buildings at 1844 and 1850 North Harvard Boulevard, totaling 56 units. The seller was Martin Goldman, a trustee of David and Esther Weismasser. They owned the Thai Town complex, built in 1955, since 2003. Afton Properties owns several apartment buildings around L.A., the bulk of which are in the Eastside. Goldman, acting through the same trust, also sold a multifamily complex in El Monte for $11.3 million. The buyer was Pi Properties No 97 LLC, which is tied to an individual named Rao Yalamanchili, records show. Located at 11690 Ramona Boulevard in El Monte, the 1964-built complex includes 47 units. Correction: An earlier version of this article incorrectly described the number of units in the property at 1844 and 1850 North Harvard Boulevard.